Kayaking through this section of Pictured Rocks National Lakeshore is truly a playground for paddlers! 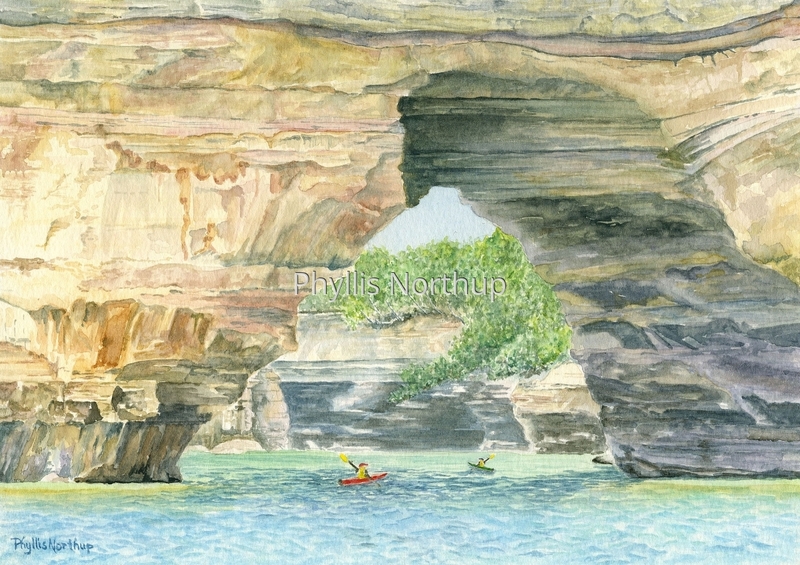 I am always awestruck as I paddle under Lovers Leap Arch, shown in this painting. This arch has a particularly graceful shape, recognizable from afar, and really interesting to see up close!